Postcard-perfect Jar Island is the kind of place where nobody locks their doors at night, where parents can sleep easy, knowing their daughters are tucked away safe and sound in their beds. But bad things can happen, even to good girls, and sometimes the only way to make things right is do something wrong. Lillia used to trust boys, but not anymore. Not after what happened this summer. And she'll be damned if she lets the same thing happen to her little sister. Kat is through with being called a freak. She's over the rumors, the insults, the cruel jokes made at her expense. It all goes back to one person - her ex-best friend - and Kat's ready to make her pay. Four years ago, Mary left Jar Island because of a boy. But she's not the same girl anymore. Now that she's back, he's gonna be in trouble . . . 'cause she's coming for him. Three very different girls who want the same thing: sweet revenge. And they won't stop until they've each had a taste. There were two main thoughts that I had while reading this book - A) That's not a good idea and B) Oh my god. 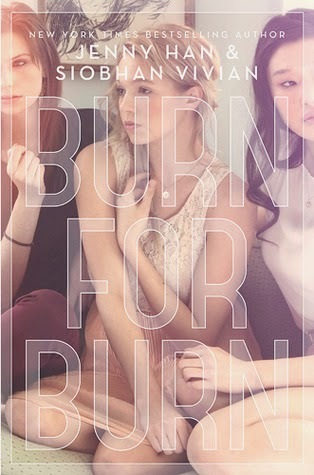 Burn for Burn is the story of three teenage girls who live on Jar Island - Kat who is an independent badass of sorts, Mary who has recently moved back after a few years away and Lillia - the princess. These girls have all gone through something that has changed them dramatically. Be that abuse, bullying or what Mary went through which is something else entirely and now they want revenge. I love Jenny Han's writing but what I didn't know was if I'd be able to tell the difference between her writing and Siobhan Vivian's which is a common issue that I have with co-written books. In fact, I thought that the co-authoring was really well done. I could tell the difference between the characters, which is a blessing because they're all so different. Sometimes when I'm reading a book with different POV's it's hard for me to distinguish between each character but with these it's as easy as riding a bike. One thing that truly made the book for me was the characters. 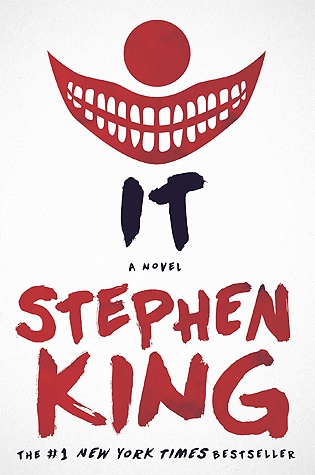 It's not an entirely character driven book but they certainly gave it a little something more when the plot was lacking. I can feel my words failing me on this one so I'm going to move onto bullet points to make it a bit easier for me and you. - I loved that it was set on an island. I rarely read island books but when I do I always end up loving them - I don't know why. Maybe it's the small-town feel or maybe it's the idea that it's so secluded almost anything can happen. - Lillia. I loved Lillia. I mean, I loved all of the characters in their own way but there was just something about Lillia that made me want to take her out of the book and give her a big hug and tell her that she doesn't need to ignore it and that she can talk about it if she wants. RENNIE IS NOT A GOOD FRIEND LILLIA. - It was like Mean Girls mixed with Pretty Little Liars. I just. If that's not something that I'd be into I don't know what is. - The story definitely built. It started off as pretty innocent revenge and then their antics grew larger and bigger and scarier. There were definitely a few 'don't do it!' moments from me. - ALL THE FEELINGS. I did, maybe, a little bit start feeling sorry for Reeve at the end. And the girls. I think they all got themselves in a little too deep and they didn't think that their actions could cause such serious damage. - The ending. Everything was so crazy during the last two chapters and then it just ended. It was weird. It didn't feel like the ending at all. Although, I suppose it worked because now I want to go out and read the next two books. Sigh. So yeah, I enjoyed the book. I thought that it was a fun, intense read and it's definitely addicting. There were a few moments that I grew frustrated but that was just at the actions of the characters (that were meant to be annoying, I think) so I didn't have any huge problems with it. yay natalie i'm so happy you enjoyed this book! and i'm so excited for you to read fire with fire because in my opinion, it was even BETTER. i agree with everything you said here. i loved that it was set on an island as well and i thought the setting was written so beautifully. and ugh RENNIE. ew ew ew ew ew ew ew. and actually for me i wasnt the hugest fan of lillia ever. i liked her enough but kat was always my girl. kat is amazing oh my god you will find out. and REEVE alsjdfldjsafjdsalfjds omg literally read the next book so we can talk about the amazingness that is fire with fire. nearly a year later and i'm still reeling. ncsfjkadv mx i'm SO excited to read the next one now! I heard mixed things too and I was really nervous but I definitely think it's worth a shot! I've heard even greater things about the sequel so that's promising! Kat is absolutely great - I just felt that she was always whining about others being rich and how it's not fair that she's poorer than them. They couldn't help being born to their backgrounds any more than she could so I thought it was annoying that she kept being bitchy about it hahaha.